This post was originally published on My Health Maven. Elisha is deeply passionate about educating people and empowering them to lead healthier lives. I encourage you to check out her blog. Sinus infections can be truly miserable, but there are many safe and effective natural remedies that can provide relief from typical sinus symptoms such as sinus pain, sinus pressure, and headaches. Sinusitis is the medical term for most sinus infections, describing inflammation of the naval cavities and sinuses. This inflammation can make it difficult to breathe, but much worse is the pain and pressure that are the primary symptoms of sinus infection. This inflammation can be caused by an infection with a viral, bacterial, allergic, or fungal cause. For this reason, sinusitis can be contagious. This information is not intended to be a substitute for professional medical advice, diagnosis or treatment. Always seek the advice of your physician or another qualified health provider with any questions about your medical condition and/or current medication. Do not disregard professional medical advice or delay seeking advice or treatment because of something you have read here. If you treat a sinus infection in its early stages, you may be able to avoid a round of antibiotics. The first step is to allow your body to rest as much as possible. Drink plenty of fluids such as water and herbal teas. Be sure to avoid caffeine, as it can dehydrate your body, and remember to avoid sugar. Steams and nasal rinses can help reduce pain and increase drainage. Consider sleeping with your head elevated to help your sinuses drain and provide relief from sinus pain. There is a thin, vertical bone in your nasal cavity called the vomer bone. By moving it back and forth with these pressure points, you can help to drain the sinuses and relieve painful pressure and inflammation. Place one your thumbs on the space between your eyebrows while pushing your tongue against the roof of your mouth. Apply pressure with your thumbs and your tongue at the same time, for about 30 seconds. You should experience relief immediately. 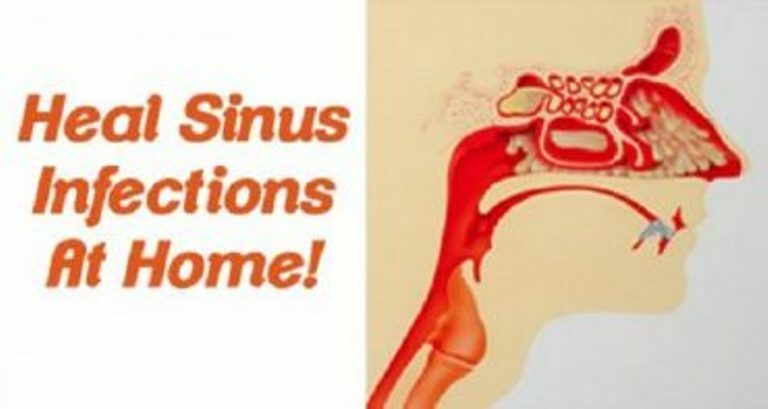 Check out this video for more on sinus pressure points! In addition to periodically relieving pressure from your sinuses, you can easily make this apple cider vinegar mixture to fight the sinus infection itself. The apple cider vinegar tonic, taken two or three times a day, can quickly break up congestion, kill pathogens, and improve other sinus infection symptoms as well. ACV helps decrease mucus production and is beneficial for a runny nose and the common cold. Mix apple cider vinegar with the warm water. Drink warm, 2-3 times a day for best results. Horseradish Spread does a wonderful job of clearing congested sinus passages. Mix 1 tablespoon of freshly grated horseradish, 1 teaspoon of virgin olive oil, and 1 teaspoon of freshly squeezed lemon juice. Spread on your choice of crackers for quick sinus draining. Ginger reduces inflammation and sinus pain. Boil 2 cups of water, add 3″ sliced ginger root. Cover and simmer on low heat for 20 minutes, then strain. Allow the tea to cool enough that it is warm and will not burn your skin. Soak a washcloth in the warm tea. Lie down with your head elevated (this allows your sinuses to drain) and apply the cloth to your face for 15 minutes or so. Thyme has antibacterial properties, while the menthol in the mint is a natural decongestant. Place 3 teaspoons each of dried thyme and peppermint in a heatproof bowl. Add boiling water to herbs. Lean over the bowl with a thick towel over your head and bowl. Repeat 2-3 times a day as needed. Put garlic, lemon and ½ cup water in a blender. Blend till smooth. Pour into a heatproof 16 oz. jar. Add boiling water, cover and let steep for 5 minutes. Pour through a strainer into a large mug. Sweeten to taste. Drink this tea 2-3 times a day to help clear out your sinus infection. Due to its use of non-toxic materials, ease of use, and ability to treat chronic symptoms, homeopathy is making a comeback. The wonder of homeopathy is that it individualizes. Any condition can have multiple possible remedies, which allows the user to find the remedy that best suits them, based on their symptoms. 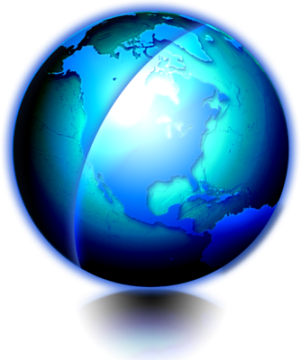 Homeopathic remedies are easily found at natural food stores, online and through your local homeopath. Check the remedies below that matches your symptoms. Arsenicum Album: Use if the discharge is thin, watery, and burning; the condition worsens with exposure to open air, or if there is a tendency to feel chilly, a desire for warm drinks and accompanied by a sense of restlessness and anxiety. Hepar Sulph: Use if nasal discharge is thick, yellow-green, foul smelling discharge. Nose is blocked, sinuses, and facial bones sensitive to touch. Nose is red, inflamed, swollen with burning pain. Loss of smell. Irritable, chilly. Feel better warm and wrapped up. Hydrastis: Use with watery acrid discharge that becomes thick, foul smelling and yellow. Nasal passages and nose feel raw, burning. Constant nose blowing. Severe frontal sinus headache and post nasal drip. Warm air nose is blocked up, cool open air allows nasal discharge and relieves sinus headaches. Kalium Bichromium: Use if there is a feeling of pressure at the root of the nose and either a foul smell or loss of smell; if the frontal sinuses are chronically stuffy with constant post nasal drip and/ or nasal obstruction, or if the symptoms are relieved by warm compresses and worsen from exposure to cold damp air. Mercurius Iodatus: Use if nostrils are raw and ulcerated, if you feel worse at night and suffer from extremes of temperatures if nasal discharge is yellow or green and tinged with blood, if you perspire easily, which aggravates the condition. Nux Vomica: -Use if passages are stuffy, especially at night and outdoors; if frontal headaches are experienced, which ease with pressure placed against them, or if you feel chilly, irritable and are bothered by noises and light. Pulsatilla-Use with stuffy nose and loss of smell, also with dull yet heavy frontal and maxillary sinus pressure. Thick yellow, non-irritating nasal discharge. Nose drains when lying down and stops when standing. Feels worse going from cold air to warm room. Feels better in fresh air. Silicea: -Use if there are hard crusts in the nose which bleed easily, as well as sinus pain over the front and maxillary sinuses if nasal bones are sensitive to touch; if a nose is obstructed, with a loss of smell. Violent sneezing, chilly, feel better warm.